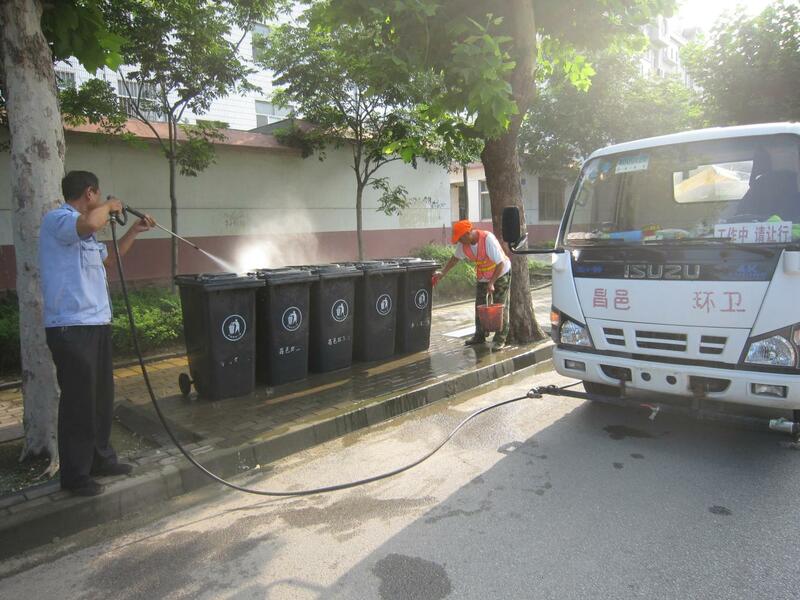 In the year of 2008, Changyi Kangjie Sanitation Group firstly implemented the urban-rural sanitation integration service in the whole country. The group adheres to the Four innovation of “System, Mechanism, Management and Technology ” to solve problems on how to carry out he urban-rural sanitation integration service, how to raise money, and how to dispose waste. Firstly, establish the market-oriented institute. The Group has paved a new path of market-oriented development featuring government-sponsored service, separation of enterprise and institute, and separation of management and implementation. Implement the “Go Out” Strategy to transfer “Changyi Mode ” into the productive forces. 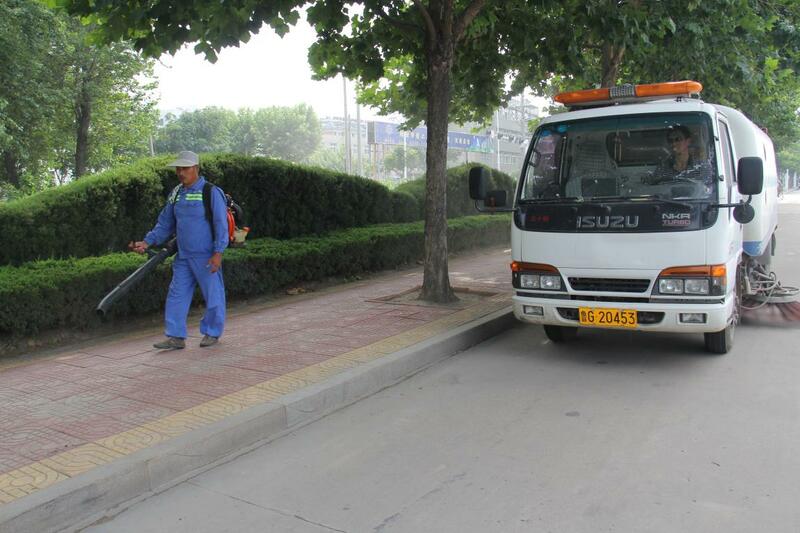 Currently, the company has taken over about 400 sanitation projects in 12 provinces and more than 80 cities covering Shandong Province, Anhui Province, Hebei Province, Jiangsu Province, Henan Province and Zhejiang Province, successively. The amount of trusteeship contract has been up to USD 12.8 billion. The system reaches that the people accept the best service with government paid least. The group has reached an agreement with Pakistan and would be the first sanitation enterprise to go abroad. Secondly, create “Direct Management” Mechanism. all the cleaning, waste collection and transportation of urban and rural areas are trusted to the Group for the operation and management. A sanitation office is set up in each of the town blocks, and each block is provided with sanitation professionals and equipment such as machines, vehicles and waste transfer stations. Adhere to the principle of “Unified Collection, Transportation, Centralized Disposal and Resource Utilization” to realize “airtight collection and transportation, and daily dispose”. Secondly, according to the principle of ”whoever causing pollution will pay for the treatment”, build grading investment mechanism involving municipal government, towns and blocks. The municipal financial department will undertake 40% of rural sanitation fees, while the other 20% taken by the town finance sectors. As for the village level, the expenditure is financed collectively or with the method of “one discussion over each matter”, a system to raise fund and labor. For households enjoying the five guarantees and receiving subsistence allowances, the disabled and villagers over 70 years old, their fees are afforded by financial sectors of the city and towns. The financial security mechanism of “whoever causing pollution will pay for the treatment” lightened the burden of both peasants and governments to a great extent, ,which in the long run guarantees the financial support for the urban-rural sanitation integration. Fourthly, Enforce independent innovation to promote the technology on innocuous disposal and resource utilization of domestic garbage. Cooperated with Weifnag Jinsida Group, the company has build the project of resource utilization of domestic garbage with the disposal capacity of 300 tons/day, which realize recycling, industrialization, pollution-free and zero waste. In May 2011, over 40 sanitation experts and scholars, at a symposium for the townlet waste treatment held by the Ministry of Housing and Urban-Rural Development of PRC in Guangxi province, highly praised Changyi practice, which was defined as “Changyi Mode” in consensus and proposed to be promoted nationwide.